I've always been someone who goes to the drugstore before anywhere else when I'm in pursuit of a new piece of makeup. Almost all the foundations I own are affordable because the idea of spending £40+ on foundation makes me want to shed a tiny tear. I've also found such a reliable bunch of base products from the aisles of the drugstore, that I don't feel the need to reach deeper into my pockets. 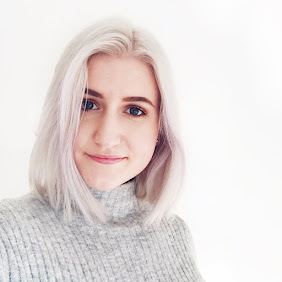 I thought I'd round up three of my absolute faves today, in case anyone's after a bit of foundation-inspo. These three are all fantastic quality for the price point and all have different formulas, so here are all the details! 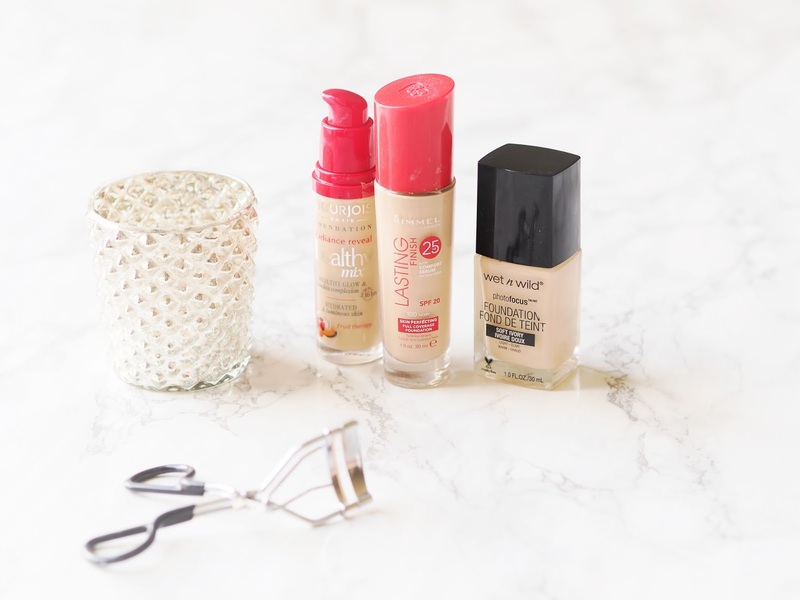 Bourjois Healthy Mix Foundation - This tends to be my go-to foundation for summer. It's pretty light/medium coverage so I crack this out on warmer days where I don't want my base to be as heavy. The finish is really nice and slightly sheeny, so I think this could be a pretty good one for drier skin tones too. As someone with oily skin, I have to set my whole face with powder anyway, but this doesn't go funny or cakey as the day goes on. This does have some fragrance to it, so if you're sensitive to that, maybe be slightly wary. Aside from that, a lovely light foundation with an affordable price tag! Rimmel Lasting Finish Foundation - I love this foundation so much but I tend to ignore it all throughout winter, because to my knowledge I own the lightest shade and it's still too dark for me. I can make it work by taking it all the way down my neck but it's easier if I just wait until I have a bit of a tan to use it. This has much more coverage than most of my other foundations, which makes it the one I currently reach for during bad skin days. It blends out beautifully and, true to it's name, it really does last well throughout the day. Hopefully they bring out a lighter shade soon, so I can stock up on it! Wet 'n Wild PhotoFocus Foundation - I'm so enamoured with this foundation that I wrote a whole post on it a little while back. This is by far the most affordable of the bunch clocking in at under $6. Yes, the packaging isn't the best, but for what you're paying it's more than acceptable. It's a medium coverage foundation that you can build up a bit more over problem areas and it has a satin finish. I think one of the best parts about this line is also the shade range. The line carries a total of 20 shades, which is seriously impressive for a drugstore foundation. I've also managed to find a shade that works really well for me, which is no easy feat with my pale complexion! If you're after a good quality foundation at an ultra affordable price, I highly recommend having a look at this! So there we have it, my picks from the drugstore. They're all very different but work fantastically and have secured a firm place in my makeup drawers. What are some of your favourite foundations from the drugstore? Have a fantastic weekend and happy Friday! I love the sound of the Wet N Wild foundation, and I really need to give the Bourjois one a go again.